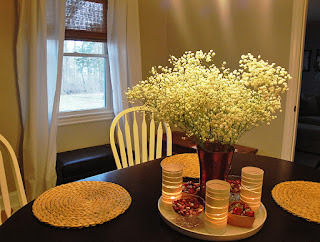 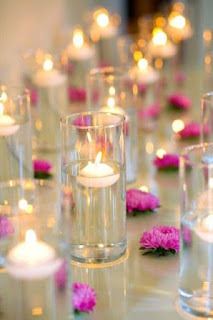 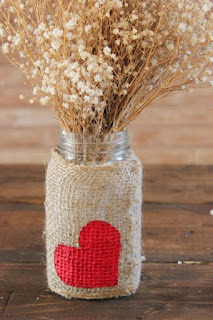 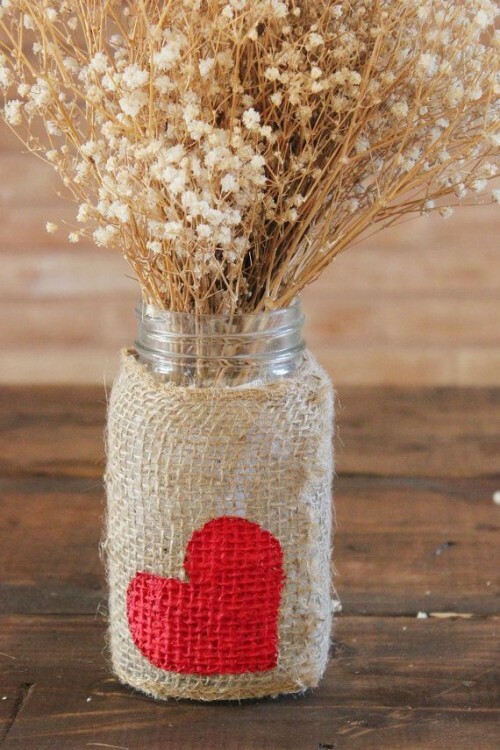 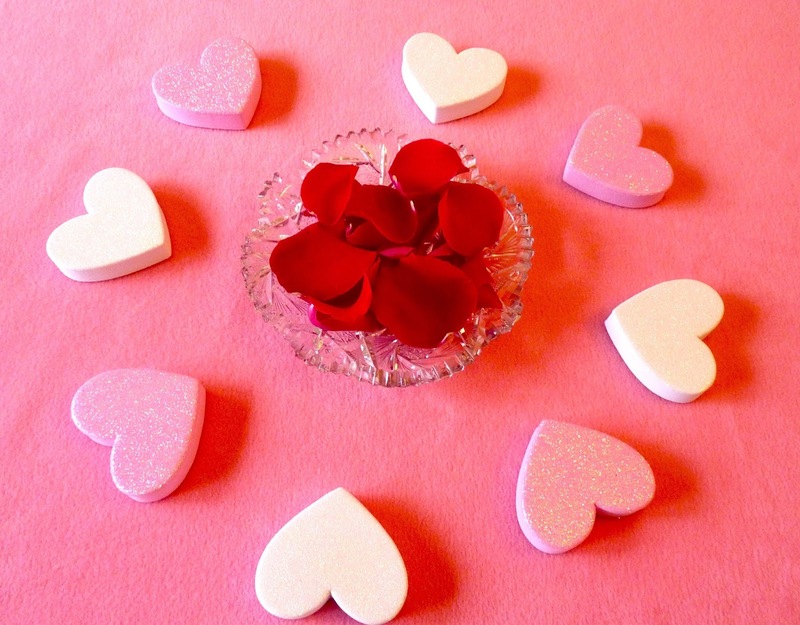 Interesting ideas of centerpieces to celebrate Valentine's Day in an original, romantic and very tasteful way. 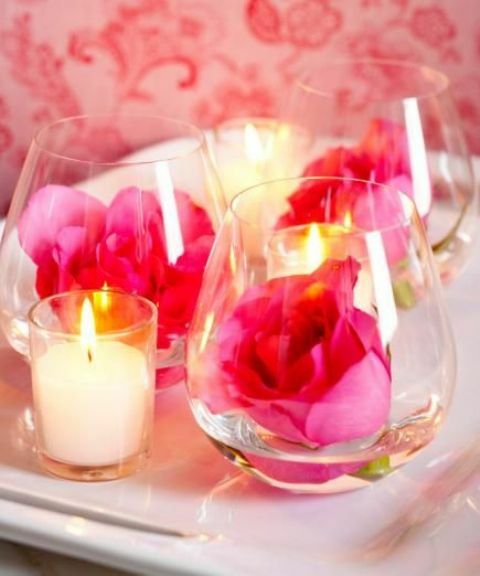 Cheer up and surprise your special person with a romantic dinner or lunch complemented with one of the centerpieces's ideas we present below. Centerpiece with glass vases, you can see floating candles and white flowers inside. Centerpiece with red petals in the center and pink and white hearts around. Centerpiece with glasses and roses inside. Centerpiece with a rustic touch. 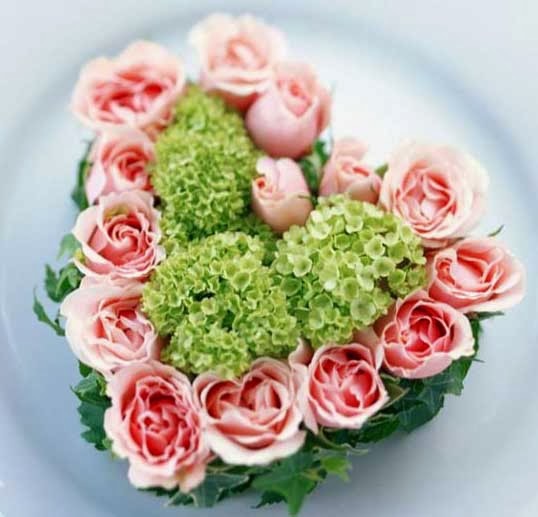 Centerpiece in the shape of a heart, formed by a group of pink roses. Centerpiece with glasses and floating candles inside. 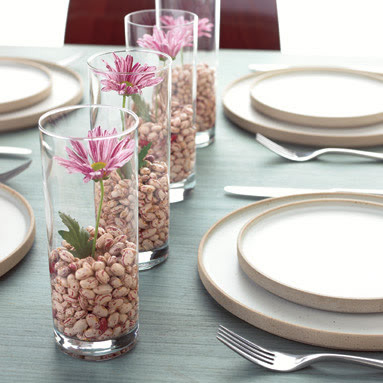 Centerpiece with glasses, small stones inside and fuchsia flowers in the middle. 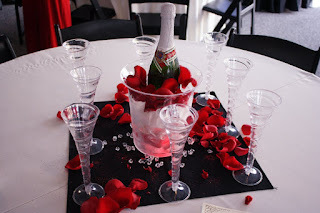 Centerpiece with a bottle of champagne, ice and red petals around. 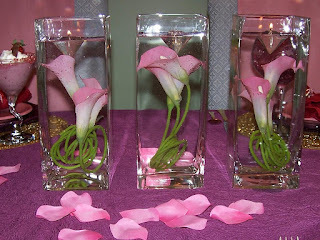 A beautiful centerpiece with glasses and a flower submerged inside each one. 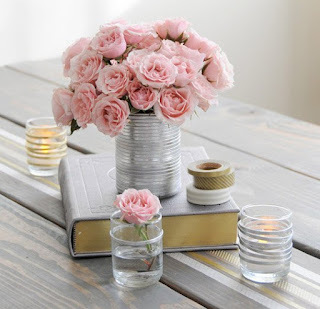 Another centerpiece with a rustic touch, flowers are inside a can on an old book. 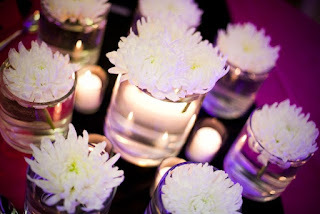 Centerpiece with small white flowers and candles surrounding them.